For some reason tonight I decided to look back through some old photographs. I came across this one and thought it was just too cute, so I had to post it. These are my girls, from a few years back. 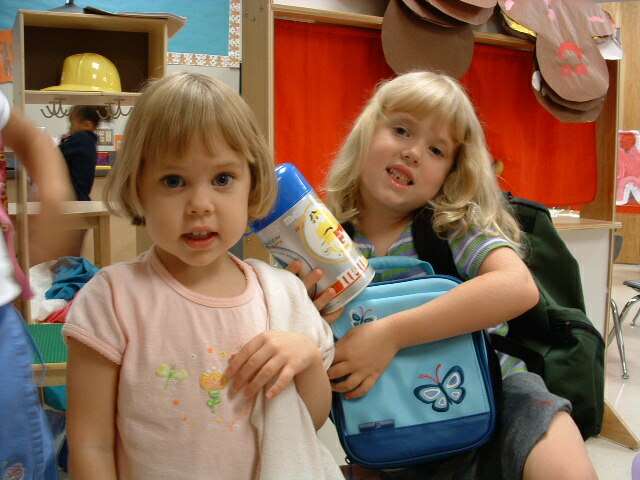 Rachel was in Kindergarten and Elise would have been 3, so this would have been taken sometime in 2003. I look back at these old photos and the memories start flooding in. Looking at the girls now I can’t imagine they were ever that small. They sure do grow up fast!